My sister is an entrepreneur. 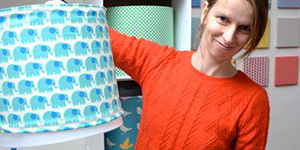 Two years ago, she decided to start her own business and turned her hobby into her job. 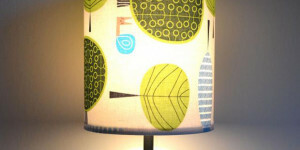 Under the brand name Cozette*, she makes lampshades with colourful fabrics, that can be replaced. Most of her selling happens online, and from the very beginning blogging, Facebook and Pinterest have been her main marketing tools. But she’s an autodidact in online communications and never had the time to design a proper social media plan. So here’s her sister starting up her own business too and acting as the online communications consultant of Cozette*! My aim is not only to provide a social media plan for Cozette*, but to build an integral online marketing plan that starts with determining the objectives of Cozette*’s online presence. Is it selling more through the web-shop? Does Cozette* wants more leads (people that contact Cozette* for inquiries and can possibly lead to sales)? 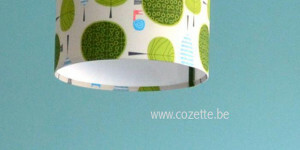 Is branding the objective, so more people get to know Cozette* as a brand in the DIY & crafts home decor cottage industry? If increasing the online sales is the objective, the conversion rate will become our main KPI: the number of online orders towards the number of web visits. If more leads is the objective, the number of email and/or calls received towards the number of web visits can become a KPI. If branding is the objective, we could measure how many times Cozette* has been searched (through search engine trends), how Cozette* is positioning itself towards other brands (through research on keywords), or how many times Cozette* is mentioned on social media (through monitoring tools). First, we will have to make a SWOT analysis of Cozette*’s business by describing its Strengths, Weaknesses, Opportunities & Threats. 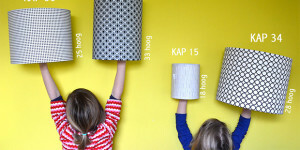 Second, we will have to take a look at the sector Cozette* is operating in: what products are considered to belong to the DIY & crafts home decor cottage industry, who are the main players & competitors in Belgium, the Netherlands & abroad, what are the trends & in which direction the industry is going, etc. Third, we should make an analysis of the online presence & marketing strategy of Cozette*’s main competitors. Fourth, we should make an overview of Cozette*’s existing products & services covering the product attributes, current pricing, current distribution and services offered. Fifth, we have to make a description of the potential customers in demographic terms (age, gender, nationality, education, household composition, occupation and income), in geographic terms (where are they located? is their physical location irrelevant?) and in psycho-graphic & lifestyle terms (personality of a person and how they might buy the product/service, what motivates them to buy). Based on the segmentation of the fifth step, we should determine how Cozette* reaches the different segments and which segments are growing or declining and why. We should also describe the market needs: is Cozette* providing the right solution for the right problem? Is Cozette* satisfying the needs of potential customers? Finally, we should describe the market behavioral: the knowledge, use and response of customers to Cozette*’s products & services, describing the occasions that stimulate purchases, the benefits we realize when reading customers testimonies, their loyalty, their buyer-readiness, and their attitude towards Cozette*’s products & services. Cozette* already has a beautifully designed website & webshop, so we should analyze if any improvements can be made through a new strategy. The first level of analysis is about marketing. 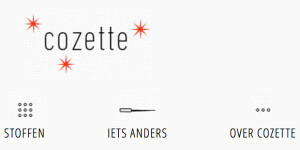 We should define the different segments of the target audience of Cozette*’s website. Then, we should define Cozette*’s value proposal: what is Cozette* offering to each segment of the target audience? what makes Cozette* special and different from others? Once we have those things clear, we should analyze if the website is transmitting clearly the value proposal for each segment of Cozette*’s target audience. At a second level of analysis, we should review the technology of the website/webshop and answer several questions: is the domain name adequate? is the programming platform used the right one? is the website responsive to different devices? what can be improved in terms of architecture, design, programming? Everything has its price, also the implementation of an online marketing plan. We should detail the costs of any redesigning, reprogramming, rehosting, redomaining of the website/webshop and of any online promotion & advertising considered opportune as online marketing actions (see step 4: action!). Of course, also the fee of the consultant should be included in the budget! Online promotion is non-monetary. This doesn’t mean it’s free, because it requires a lot of time and resources. It contains a Search Engine Optimization (SEO) strategy, the implementation of a Social Media plan, but also viral marketing strategies, commercial agreements & exchanges or geolocalization strategies. Online advertisement is monetary. It contains a Search Engine Marketing (SEM) strategy, a Social Media Marketing (SMM) strategy, but it can also contain email marketing, insertion in online directories, banner placement on thematic websites, affiliate programs or even the creation of rich media (video or graphics). One of the major advantages of online marketing is its capacity to measure its results on-the-go and to take corrective actions when necessary. A whole range of tools are at our disposal (Google analytics, Facebook insights, Google alerts, Social Mention, etc. ), and will be implemented to report upon the proceedings. And yes, I will keep you updated on our results!